THE Queensland Government is to set up a Truth, Healing and Reconciliation task force after accepting more than half of the recommendations of the Royal Commission into child sexual abuse. The government has accepted or “accepted in principle” 244 of the 409 Royal Commission recommendations, and says a task force will be set up within months to carry them out. The move builds on the state’s opt-in to the national redress scheme for survivors of child sexual abuse. The taskforce will support government efforts to make “attitudinal and cultural change” recommended by the Royal Commission, and will administer a grants program for events and memorials to acknowledge past harms and to remind the community of the need to protect children. “Queensland is fully committed to ensuring Queensland Government institutions are child safe, and to supporting and encouraging community and non-government institutions to actively become child safe,” a 121-page state government response to the Royal Commission said. On 26 key recommendations to the Catholic Church the Queensland government describes as “noted” Royal Commission recommendations, but does not specifically endorse them. “The Queensland Government encourages religious institutions to consider and respond to the Royal Commission’s recommendations,” the government said in response to each recommendation. This includes 12 Commission requests to the Holy See to amend Canon Law – including removal of the seal of the confessional for priests. The Queensland Government notes the Royal Commission stance but makes no specific endorsement. Also “noted” are two Commission recommendations that the Church through the Australian Catholic Bishops Conference and Catholic religious institutes should review and revise the formation of priests, permanent deacons and those in pastoral ministry, and for religious brothers, and religious sisters, “to explicitly address the issue of child sexual abuse and best practice in relation to its prevention”. 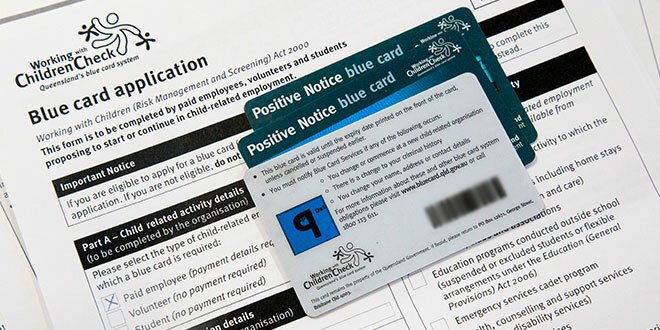 The government response, tabled in parliament on June 15, stated that carrying out the Commission recommendations “will further strengthen and streamline the blue card system through a ‘No card, no start’ policy for people working with children’, will broadening the range of offences that automatically exclude applicants and streamline the blue card application process. Minister for Child Safety, Women and Youth Di Farmer said Queensland has a proud record, going back to the Forde Commission of Inquiry, of confronting the abuse of children in institutions. “We are pleased to continue to lead and to participate in national efforts to help those who have suffered abuse in institutions,” Ms Farmer said. She also noted Queensland’s participation in the national redress scheme. “While no amount of money can compensate for their suffering, the National Redress Scheme, is an important step to healing,” Ms Farmer said. “I want Queensland to be the safest place possible to raise a child, and to see the next generation prosper without fear, whether our children are in their homes, at school or in the community,” Ms Farmer said. The Queensland Government’s response to the Royal Commission is available on the Premier’s website.